Gold Edition launches December 12. The assets introduce new glimpses into “End of Zoe,” featuring a mysterious outdoorsman named Joe who lives along the bank of the marshes and has a chance encounter with Zoe that sets both their fates in motion. 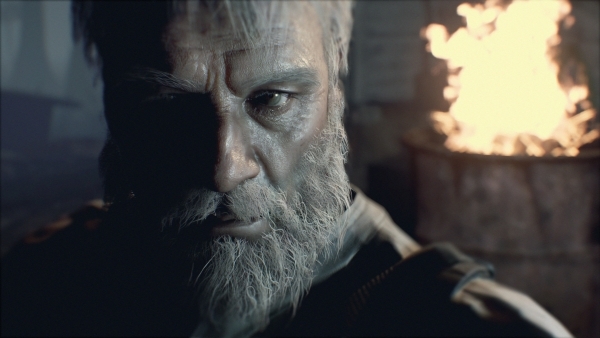 They also showcase “Not a Hero,” which is set after the events that Ethan Winters experienced in Resident Evil 7: biohazrd. It follows veteran BSAA soldier Chris Redfield, who is on the hunt for Lucas Baker to bring an end to the Baker tragedy. BSAA aegnts had tried to take on Lucas before, but were unsuccessful and became captives themselves. Chris’ goal is to save the team while tracking down Lucas through poison gas-filled dungeons. Resident Evil 7: biohazard is available now for PlayStation 4, Xbox One, and PC. Resident Evil 7: biohazard Gold Edition, which includes the full game and all downloadable contents, is due out in North America and Europe on December 12, and in Japan on December 14.